Interested in a SOLIDWORKS Free Trial? 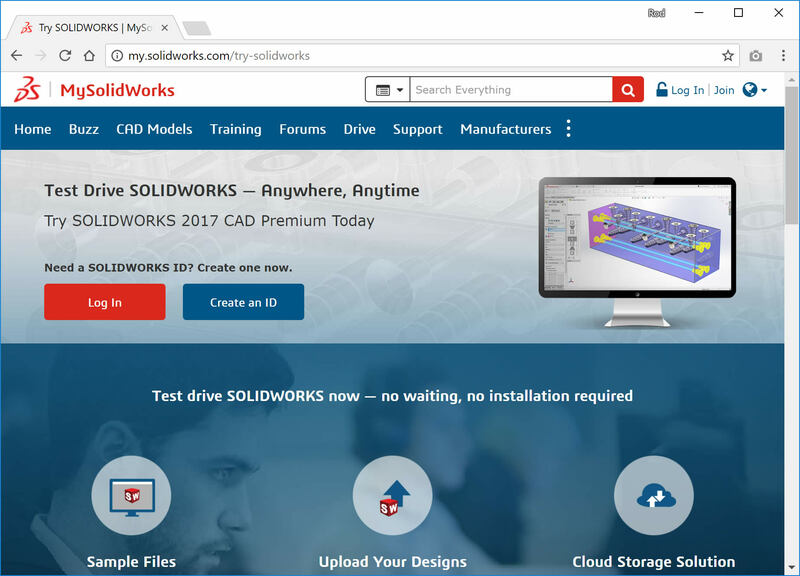 Now, for the first time, you can try SOLIDWORKS Premium online, anywhere, anytime, on any device through MySolidWorks (no installation required!). First go to my.solidworks.com/try-solidworks and select the CREATE ID button to create a free SOLIDWORKS online account — and follow the steps in the browser to create a new online account. Alternatively if you already have a MySolidWorks account just pick the LOG IN button and log in as normal. 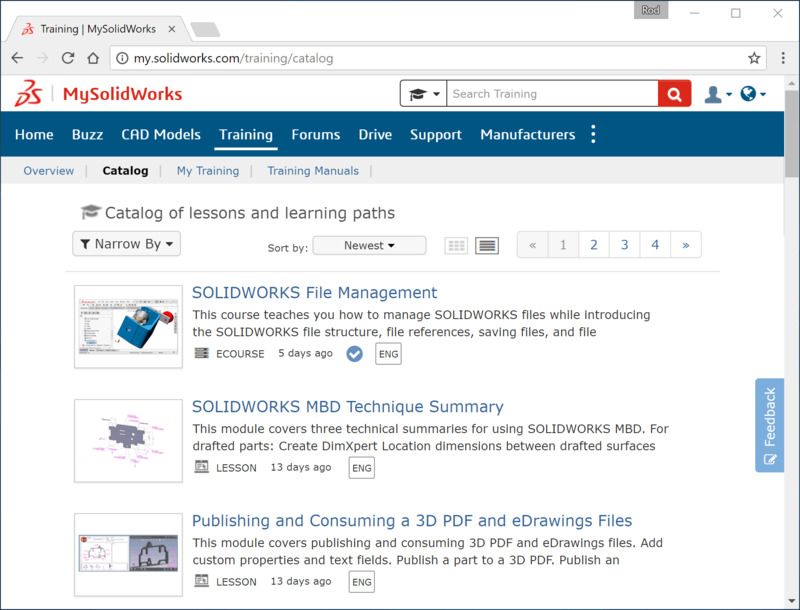 When you access the training catalog on MySolidWorks (by visiting My.SolidWorks.com > Training > Catalog) you’ll find a list of the latest lessons and a group of filters in the left-hand column. Using the filters you can quickly find the lessons you need and get your questions answered. Get your no obligation free trial now.